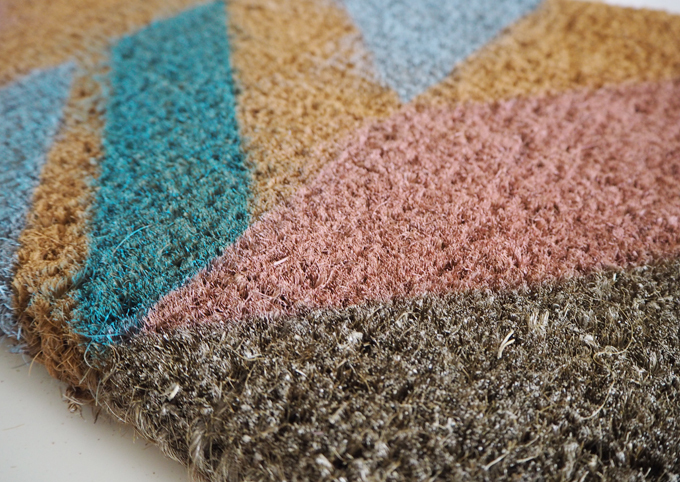 I have been wanting to update our old back door mat for a while now, it was looking a little tired and well, boring. 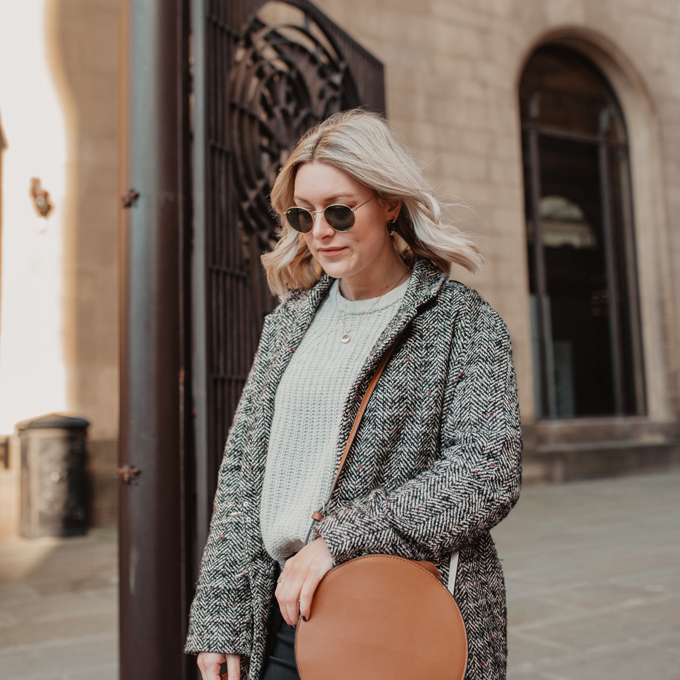 I spied some really cool ones online recently, (including this Oliver Bonas number) and thought why not DIY my own version. 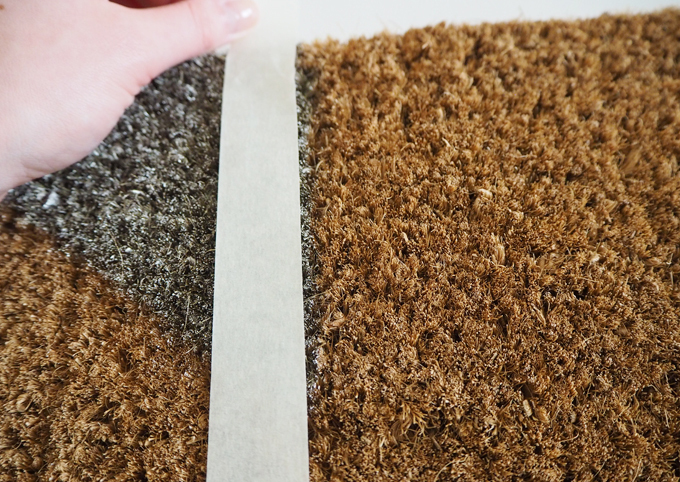 I bought this coir mat from ebay for £7.99 but have noticed some cheaper versions of similar sized mats at The Range for £3.99, so its worth shopping around if you are looking for a natural coir mat. 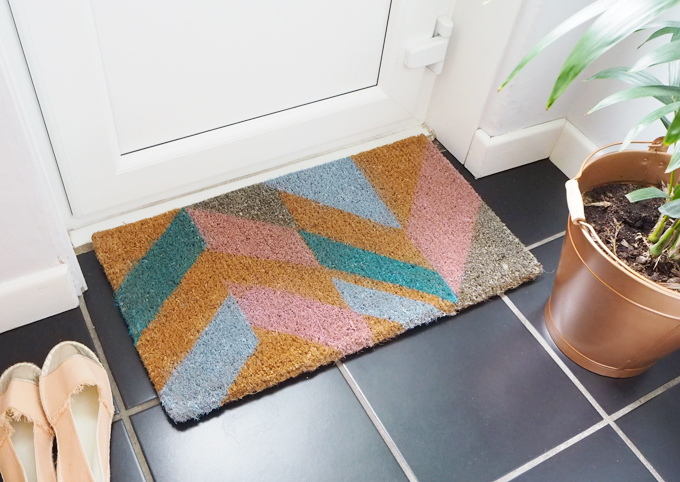 I picked up some spray paints that were suitable for a variety of surfaces in a few pastel colours (and a dash of gold) and some masking tape and set about making my geometric door mat. To start I quickly sketched out a layout for the geometric pattern and used the masking tape to map out areas where the first colours would go. I covered the rest of the areas up with tape to avoid getting any in sections I didn’t want it to be. Next was the fun bit, spraying it! 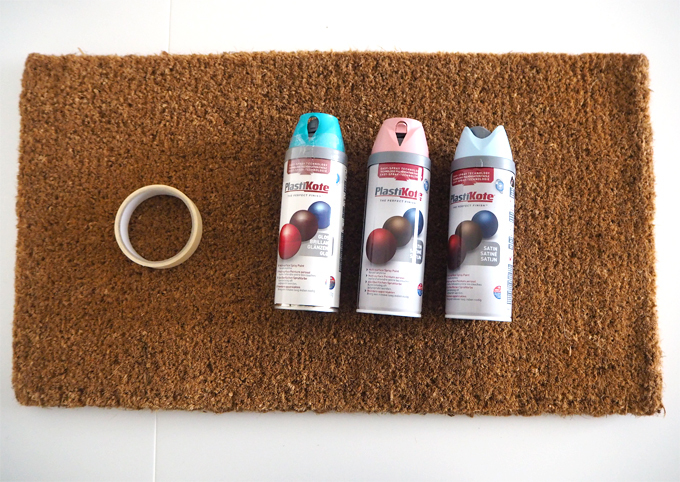 I took my mat outside to apply the first colour and covered the floor with a bin bag to avoid any mess. On the sections masked off, I alternated between using the pink and gold spray paint filling the the areas with even strokes of colour. I allowed the paint to dry for a good half hour before removing the masking tape to reveal the geometric shapes. Next, I taped over the areas I had just painted and used the tape to shape the next sections I would be spraying. This layer would be the light and dark blue bits. 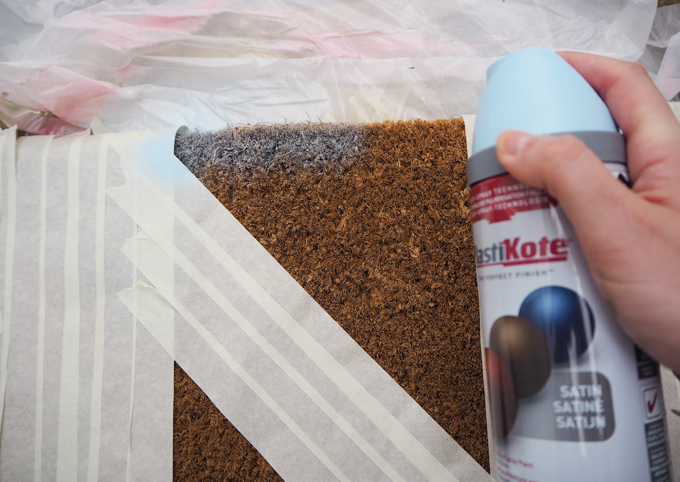 I continued masking off areas and allowing coats to dry like this until I was happy with my design and layout. Overall this DIY took me around 2-3 hours as I had to let each colour dry before moving on, it was a slow but satisfying process and I loved watching my design grow and develop. 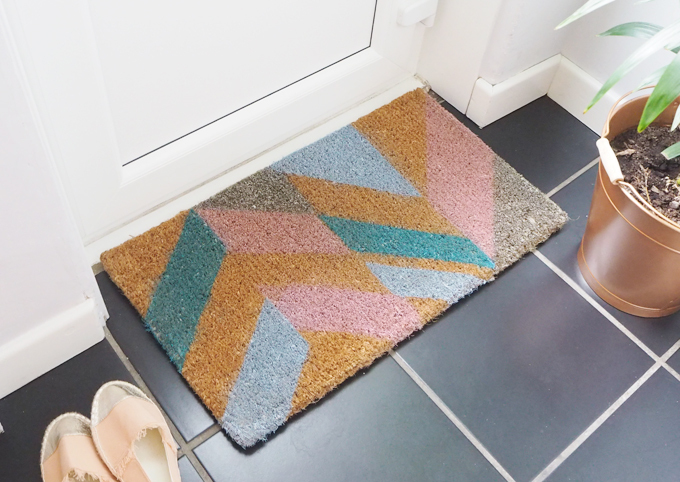 I am really happy with how my mat turned out, this modern, geometric pattern adds colour and style to my kitchen and my once boring back door. The mat is a little slippy on our kitchen floor at the moment so I am going to order a non slip mat for the base, but apart from that how cool does it look!? 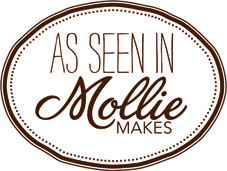 If you want more reason to DIY your own door mat check out Alina from Creative Feel Design’s slogan mat which I love. 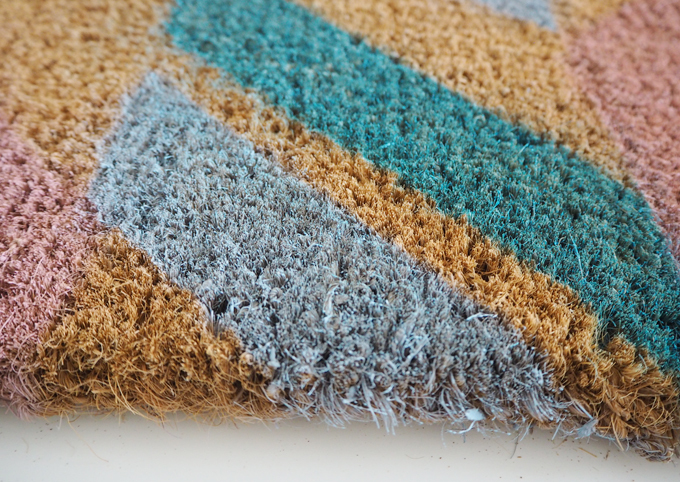 It’s a great way to add a little detail to a boring mat without spending loads. This is so cute. 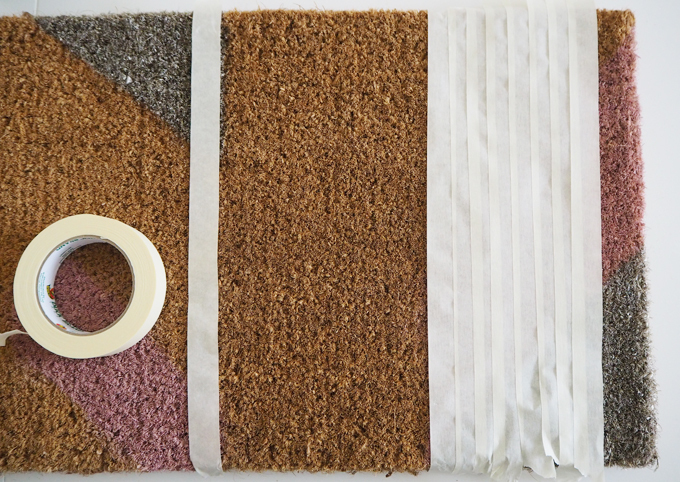 I might have to try this as I find regular door mats so boring. Looking forward to exploring your blog more. Yes me too! 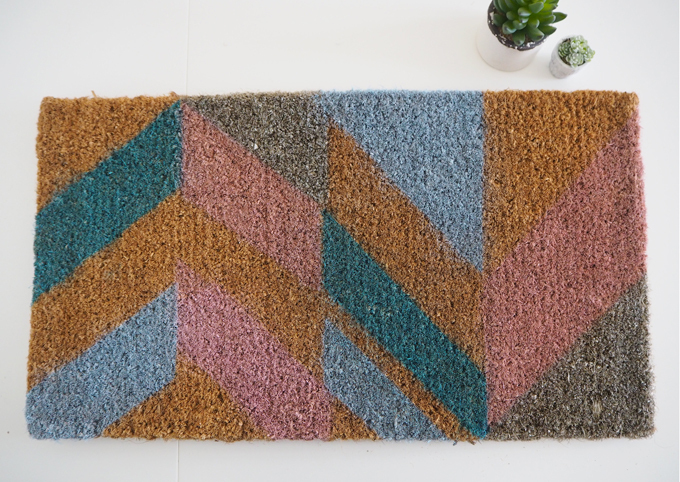 Such a fun way to jazz up a door mat! Ah thank you and welcome along! 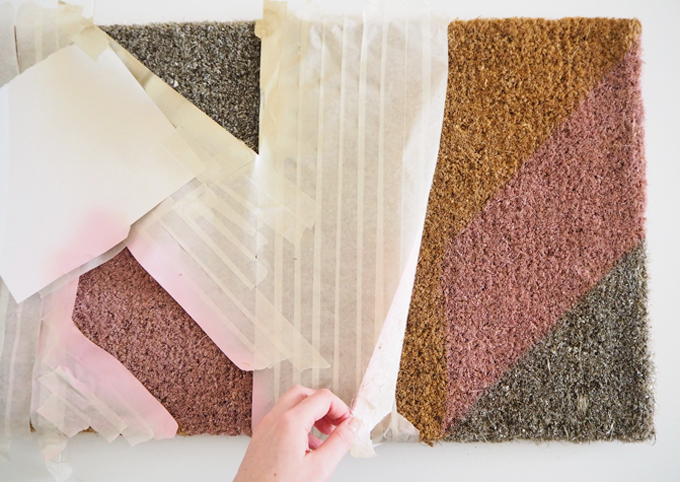 Oliver Bonas can be quite pricey, so it’s awesome that you DIY-ed this! 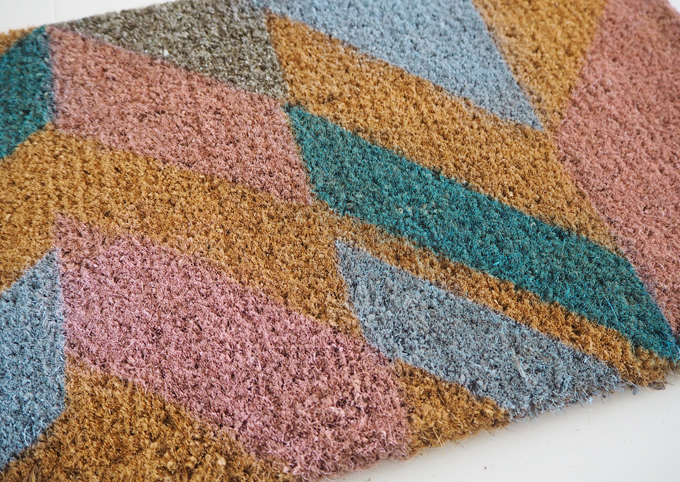 This doormat is so cute and I love the colors you chose! Thank you! 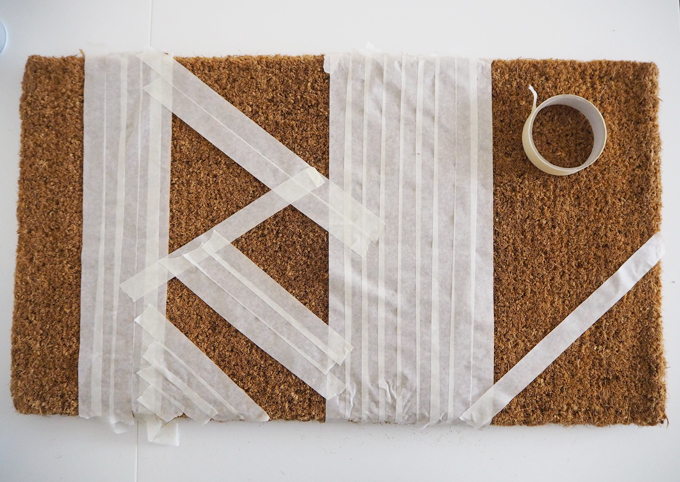 I agree, it can be so much cheaper (and fun) to DIY!